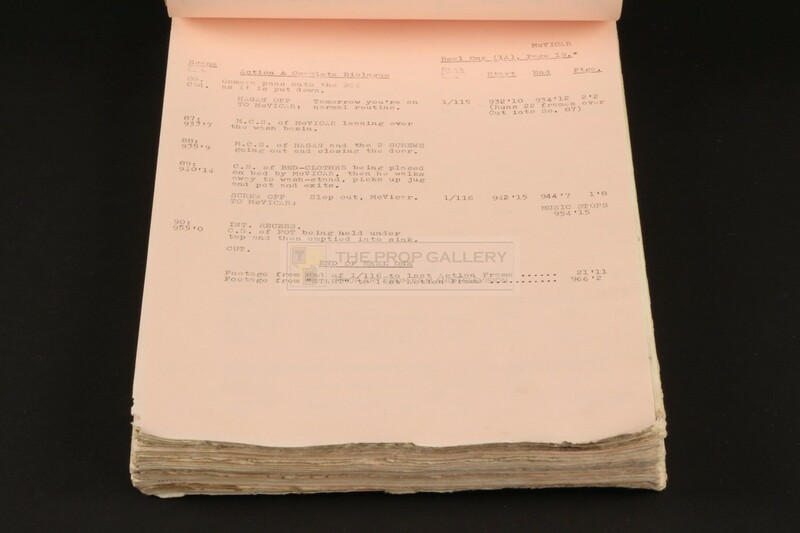 An original script used in the production of McVicar, the 1980 picture starring Roger Daltrey of the English rock band The Who in the title role. This is an original export script used in the post production stages for the purposes of subtitling and dubbing the movie. 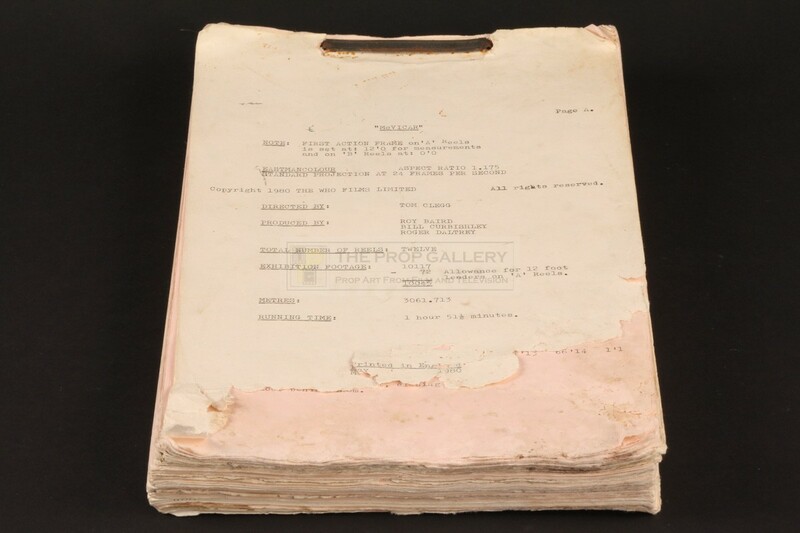 The script comprises of 202 pages printed on pink and white paper in addition to the cover page which bears the title of the movie with various technical details, this original bound between front and rear covers of pink card although only the rear remains present. 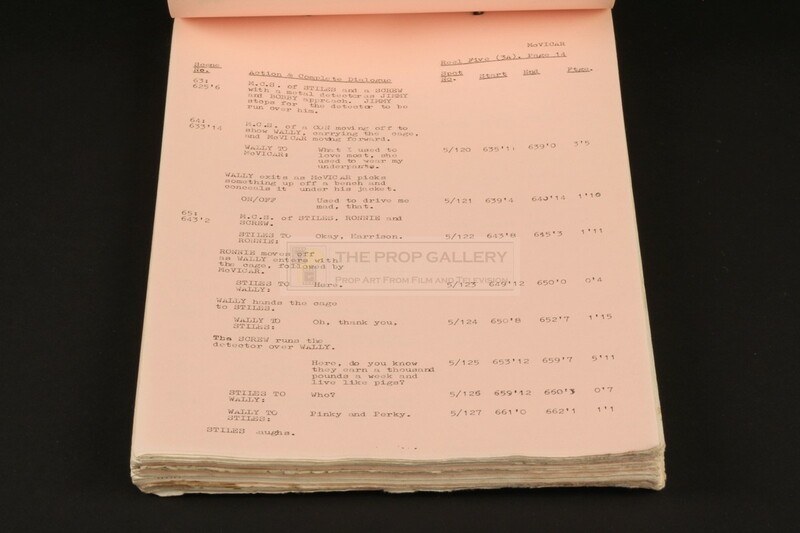 Each alternating coloured section within is used to differentiate between the different reels and the script is extremely concise with each spoken line, every action and even music changes noted alongside their respective time codes. The script measures approximately 13" x 8" and remains in fair condition with some water damage to the first few pages and lacking the bottom of the cover page, in addition to this the original front cover of pink card is missing. 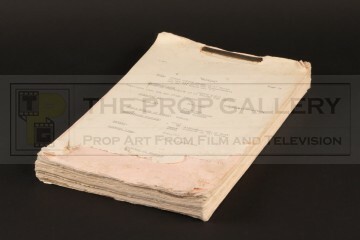 A extremely rare example of original production material from this Who Films production.